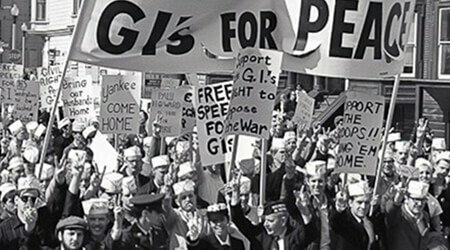 Episodes 3 and 4 take us from the early days of Lyndon Johnson’s presidency in 1964, when there were 20,000 U.S. troops in Vietnam, to June 1967, when American forces soared to 450,000 with no end in sight, despite Washington’s ritual reassurances that the enemy was steadily growing weaker. 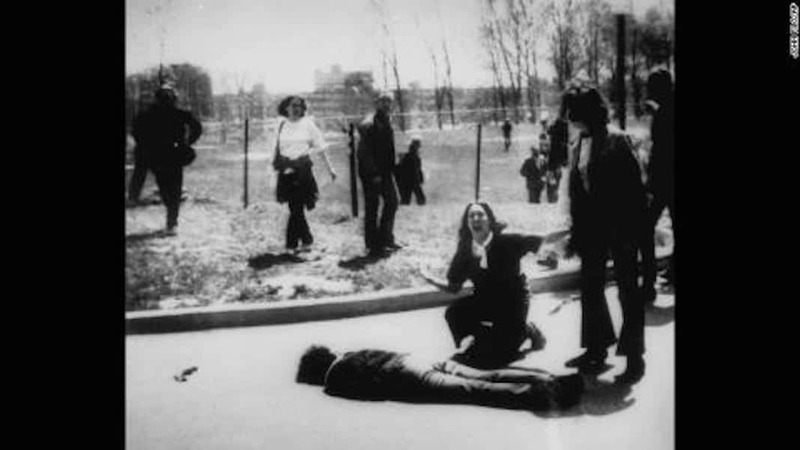 Matt Harrison, a West Point graduate, describes a June 22, 1967, firefight in which an American rifle company of 132 men suffered 77 deaths while finding only 9 or 10 enemy dead. However, in order to make the debacle look like a victory, the U.S. command claimed a body count of 475 enemy soldiers. “I had to come to grips with the fact that our leadership was either out of touch or lying,” Harrison recalls. Both episodes are framed by the story of Denton “Mogie” Crocker. In 1964, the clean-cut, book-loving 17-year-old from Saratoga Springs, New York, begged his parents to sign a consent form allowing him as an underage boy to volunteer for military service. When they refused, he left home for four months until they agreed. Two years later, on his 19th birthday, he was shot dead by enemy fire in the Central Highlands of South Vietnam. We learn about Mogie from interviews with his mother and sister, his letters home, and old family photographs and recordings. 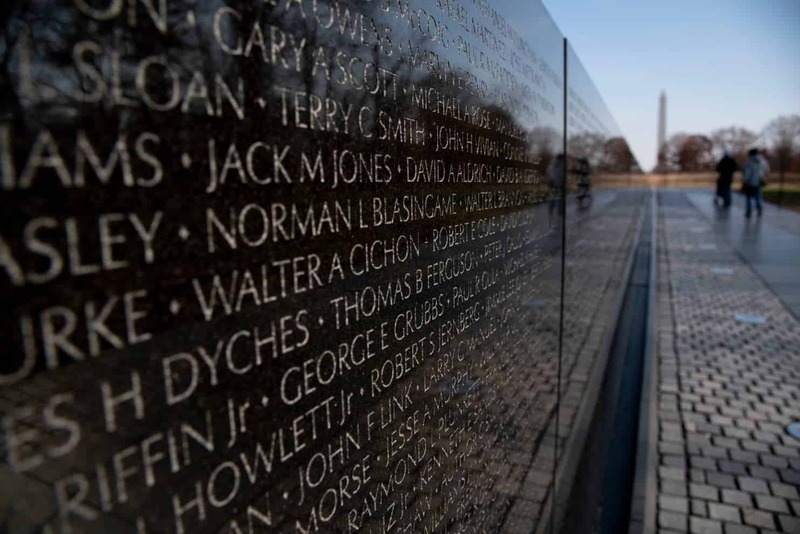 Although veterans with working-class roots certainly appear in The Vietnam War, it seems as if all of them went on to successful careers as writers, educators, lawyers, and the like. Though a number of them mention difficult postwar homecomings, we don’t meet anyone who talks about the worst of what hundreds of thousands of Vietnam veterans suffered, including paralyzing post-traumatic stress disorder, recurrent unemployment, broken marriages, incarceration, alcoholism, homelessness, and more. That’s a striking omission, given the film’s empathy for American veterans. 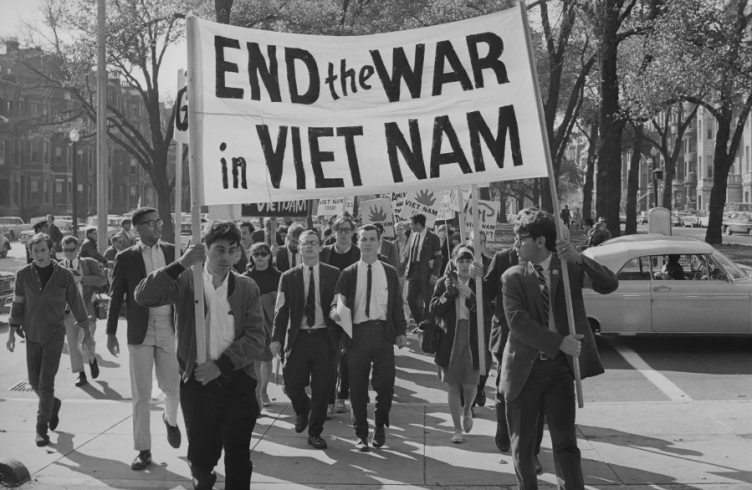 This leads us to consider a fundamental weakness of The Vietnam War: its representation of the civilian antiwar movement. Although military veterans (and their loved ones) who turned against the war are given ample and respectful attention, people without military connections who opposed the war are criticized, marginalized, and unfairly characterized. While we see some compelling archival footage of antiwar statements by people like Martin Luther King Jr. and Muhammad Ali, we never hear from a veteran of the civilian antiwar movement who speaks with the same passion, and engenders the same empathy, as the military veterans. In fact, among the 80 interviews included in the film, only one civilian activist from the most vibrant and diverse antiwar movement in American history makes a significant appearance: Bill Zimmerman, author of Troublemaker: A Memoir from the Front Lines of the Sixties. Equally noteworthy, however, Zimmerman never offers a compelling critique of the war and why he opposed it. Instead, he mostly criticizes the antiwar movement itself. The first thing he says is that he was so disappointed with the small, 40-person turnout at his first antiwar demonstration that he did not want to attend the next one. Some passion! A bit later, he makes the head-scratching claim that in 1966, “the antiwar movement shifted from a moral movement to a self-interest movement driven by people who didn’t want to go to war.” We hear no challenges to this unsubstantiated assertion. The Vietnamese are treated with more respectful attention than the American antiwar movement, but none of them receives the attention lavished on American soldiers like Mogie Crocker. Certainly there was no absence of dramatic material—countless Vietnamese families lost multiple family members and were separated for many years, even decades. We hear, for example, from Nguyen Van Tong, a Viet Cong veteran whose youngest brother was killed in the war, leaving behind a fiancée. “When my brother was killed, she refused to marry another man and took her own life instead,” he reports. It’s one of the few times the film shows a Vietnamese interviewee choking up with emotion. But the story is so short (less than a minute), it may easily be forgotten. 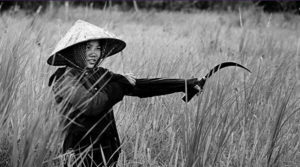 Perhaps the film’s most empathic profile of one of America’s former enemies is of Le Minh Khue, a northerner who volunteered as a teenage girl to work on the Ho Chi Minh Trail. Unlike most of the Vietnamese veterans interviewed, she does not appear in military uniform and she speaks movingly about the emotions that moved her to serve, including the deaths of many neighbors, killed by American bombing. I was also impressed by the account of a little-known battle at Binh Gia in 1964–65, recalled by veterans on all sides. In the early stages, four Americans were killed when their helicopter was shot down. An entire battalion of South Vietnamese soldiers (Army of the Republic of Vietnam, or ARVN) was sent in to retrieve their bodies and got caught in a deadly ambush. When a U.S. chopper finally arrived, its crew picked up the four dead Americans but left the bodies of their South Vietnamese allies behind. Eventually approximately 200 ARVN soldiers were killed. One of the survivors, ARVN officer Tran Ngoc Toan, played dead and was not found alive and rescued until three days later. The story epitomizes an important reality of the larger war: top U.S. civilian and military commanders always put their own interests above those of the Vietnamese, even their allies. 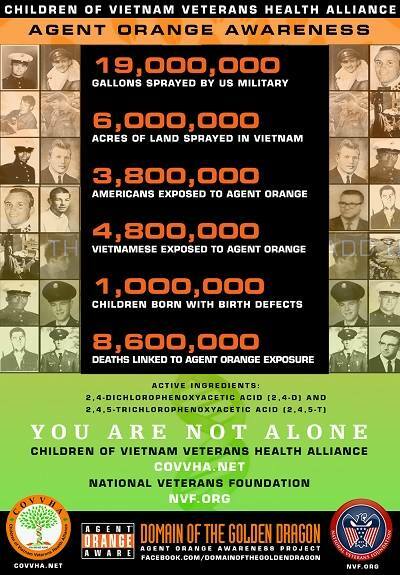 In most cases, however, The Vietnam War shows us warfare primarily through American eyes. To tell the story of the famous battle of Ia Drang, Burns and Novick call upon journalist Joseph Galloway who covered the story in 1965 and coauthored a best-selling book about it called We Were Soldiers Once . . . and Young (1992). His colorful language and southern accent are reminiscent, in microcosm, of the larger narrative role played by Shelby Foote in The Civil War, the extraordinarily popular 1990 Burns documentary. At one point, Galloway describes a U.S. napalm strike that accidentally fell inside American lines. Galloway pulled one of the soldiers out by the ankles although his flesh had burned away. “I could feel the bones,” he recalls. “I can feel it now.” Nowhere does the film present such a gripping description of the most common victims of napalm strikes: the Vietnamese. In addition to offering many personal accounts, these episodes make a number of important historical interventions. One of them, developed throughout the entire documentary, is the argument that the most significant communist leader during the American War was not Ho Chi Minh, the famous revolutionary founder of modern Vietnam who died in 1969, or Vo Nguyen Giap, the famous general who masterminded France’s defeat at Dien Binh Phu, but Le Duan, a southerner who rose to become First Secretary of the Communist Party. Historical specialists might quibble that the focus on Le Duan is overdone, underplaying the significance of other important Vietnamese figures such as leading diplomat Le Duc Tho and Prime Minister Pham Van Dong. Entirely unmentioned is Madame Nguyen Thi Binh, foreign minister for the National Liberation Front (Viet Cong), who was enormously popular and influential among peace activists in the United States and around the world. However, it is certainly true that Ho and Giap had become mostly symbolic figureheads by the 1960s and that Le Duan eclipsed them as the major architect of wartime policy and gained support for a more aggressive military approach in the south despite their opposition. It’s an important contribution to public knowledge, and a striking one considering that most U.S. leaders at the time did not even know his name. The Gulf of Tonkin incident is also rightly presented as a critical moment in the war. It gave LBJ a pretext to gain an open-ended Congressional resolution that allowed him to escalate hostilities without seeking a constitutionally required declaration of war. The film makes clear that the United States provoked the unsuccessful August 2, 1964, attack by three North Vietnamese patrol boats on an American destroyer. Since 1961, the United States had been sponsoring a secret war against the North, yet LBJ insisted that the Gulf of Tonkin incident was an act of unprovoked aggression by the communists. Important as this clarification is, The Vietnam War characteristically fails to draw the most damning conclusions from the evidence it provides. In this case, the film might have interviewed any number of respected critics of U.S. foreign policy who could have pointed out that because the United States was the first to wage war, the North Vietnamese had good reason to claim that the United States was waging a war of aggression, not the other way around. 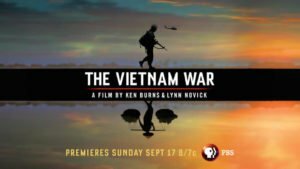 The documentary’s reticence to question the fundamental legality and justice of America’s war in Vietnam pops up in many places. For example, Episode 4 introduces us to Colonel Henry Emerson, nicknamed “the Gunfighter” and the commander of Mogie Crocker’s battalion. Emerson once offered a case of whiskey to the first man who brought him the decapitated head of an enemy soldier. Someone soon earned the bounty and we are shown a photograph of a severed Vietnamese head (whether it was the actual one brought back to Colonel Emerson is unclear). Though the image and story are appalling, the narrator describes Emerson as “courageous, implacable, relentless,” not as an officer who bribed his men to commit a war crime. Christian G. Appy is a professor of history at the University of Massachusetts. His next post, about Episodes 5 and 6, will appear following the latter’s East Coast broadcast on Sunday, September 24. He is the author of American Reckoning: The Vietnam War and Our National Identity (2015), Patriots: The Vietnam War Remembered from All Sides (2003), and Working-Class War: American Combat Soldiers and Vietnam (1993). He also serves as an OAH Distinguished Lecturer.